The situation throughout the country is alarming when it comes to right to information and transparency in governance. The Central government deserves appreciation for partially fulfilling the statutory obligation and direction of the Supreme Court by filling four positions in the Central Information Commission. But the term of new commissioners is uncertain, their status doubtful and independence a hope against hope. I welcome four commissioners and hope they will individually uphold the status of the Commission and help promote people’s right to information. Disclosure – and not the closure of information – is their job. 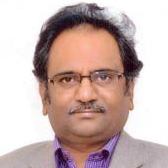 Sudheer Bhargav, a colleague of mine, has been appointed as chief information commissioner (CIC). I welcome his elevation, for restoring the convention of appointing a senior commissioner as the chief and rightly avoiding embarrassment to the existing seniors. Unfortunately, the present government broke this convention and deprived Yashovardhan Azad from efficiently leading the commission. (It does not mean anything against Radha Krishna Mathur, the former chief). Yet the question remains as to why all the four commissioners were chosen from bureaucracy. Couldn’t the search committee find out even one eminent person from the fields of law, social service, media, journalism, science and technology as mandated by Section 12(5) of the Right to Information Act? There should be at least one from each of these fields, and the chief information commissioner should be one of them in rotation to answer criticism that the information commissions are being filled with retired bureaucrats. The government should understand that ‘administration’ is only one of the fields specifically mandated in the RTI Act for both Central and state commissions. The Central Information Commission was created by a transparency statute – the RTI Act – to ensure transparency in all Central government authorities. But the plight is that public spirited citizens have to file public interest litigations whenever the posts of the chief information commissioner and information commissioners fall vacant. And it is only after Supreme Court asks that the government acts. This time, activist Anjali Bharadwaj and Air Commodore (rtd) Lokesh Batra, in their PIL, asked the SC to direct the government to be transparent about the appointments made to the commission to fill eight out of 11 posts including that of the chief information commissioner. The Supreme Court’s bench of Justices A.K. Sikri, S. Abdul Nazeer and R. Subhash Reddy rightly asked the Centre and the states to maintain transparency in appointment of the CIC and ICs and upload details of search committees and applicants on their websites. The additional solicitor general informed the court that a total of 65 applications were received for the post of CIC and 280 for four ICs. The court was also informed that once these posts are filled up, notification would be issued for inviting applications for remaining posts of ICs. Advocate Prashant Bhushan has raised objection to the absence of term of office of CICs in the notification calling for applications for these posts. It is an important legal question. Since the notification does not mention the term and the status, many eminent persons might not have opted to even apply. This naturally shrinks the scope of right persons from getting into the transparency body. With the danger of amendment to the RTI Act looming large, only those who are ready to take the position sub-ordinate to the Centre alone might have applied. At the threshold itself, the deserving might have found that with limitations, it would be impossible to achieve the goals of the RTI Act. As if to prove the adverse impact of these developments, the counsel appearing for the West Bengal government said that statistics show that the number of applications seeking information is on decline. The petitioners challenged the validity of selecting from those limited applications as a futile exercise. The notification thus is certainly not in accordance with the RTI Act. Not only at central level, but at state level also the RTI will adversely suffer because of these illegal notifications for filling up of the posts in these commissions with doubtful terms and uncertain status. Expressing concern over pendency of cases in the SICs, the court had also asked seven states – Maharashtra, Andhra Pradesh, Telangana, Gujarat, Kerala, Odisha and Karnataka – to file an affidavit giving a time frame for filling up the vacant posts. The petitioners pointed out that the SIC of Andhra Pradesh was “completely non-functional”. The Supreme Court asked the state governments to file the affidavit indicating the pendency of cases before the State Information Commission and also give reasons why the state does not need more ICs. Although four commissioners have been appointed, four more vacancies need to be filled in the CIC before the Model Code of Conduct for Lok Sabha polls come into effect. At least this notification should specify that all the commissioners will have a five year term with independence and status equal to that of the election commissioner. Is that possible? The situation all over the country is thus alarming when it comes to right to information and transparency in governance. The observations of the bench that there was so much fear that people are not coming forward to file RTI applications is a significant indication of a reality, which, perhaps, was the intention of the government. The situation in states is pathetic. Petitioners pointed out that the West Bengal SIC was functioning with only two commissioners and was hearing appeals and complaints filed 10 years ago. Several information commissions including those of Gujarat and Maharashtra were functioning without CICs although the RTI Act envisages a crucial role for this post on which the administration and superintendence of the commission is vested. The petition also claimed that the Centre and the state governments have “attempted to stifle” the functioning of the RTI Act by failing to do their statutory duty of ensuring appointment of commissioners in the CIC and the SIC in a timely manner. M. Sridhar Acharyulu is former central information commissioner.